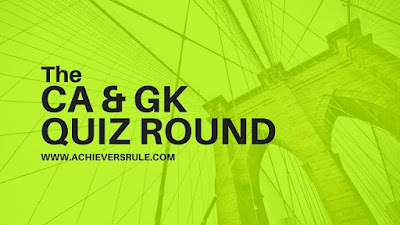 Daily Current Affairs Quiz - 18th April 2018 has a set of 15 questions with a brief explanation and answers given for each of the questions. These are very important for the upcoming examinations and aspirants should go through them in details for a better understanding of the subject. Aspirants can also go through the Current Affairs Updates and Daily One Liners for improved performance in the examination. These have been framed based on the Current pattern of IBPS PO, IBPS CLERK, SSC CGL and SSC CHSL. World Hemophilia Day is observed on 17th april 2018. Q2. Who is the Director General of National Cadet Corps (NCC)? Lieutenant General PP Malhotra assumed charge as Director General of National Cadet Corps (NCC), the largest uniformed youth organization in the world on 11 Apr 2018. Q3. ‘Yes GST’ have been launched by which bank? Yes Bank has announced the launch of ‘Yes GST’, an OD (over draft) facility for Micro, Small and Medium Enterprises (MSMEs). Q4. Which is India’s second most valuable bank? Wholesale Price Index, inflation was 2.48% in February and 5.11% in March last year. Q7. which is the highest paying city for talent? Q11. Which government launched digital platform for police force? Q12. Who is United Nations’ Deputy Secretary-General? Q13. Which country joined International Solar Alliance to mark Narendra Modi visit ? The India-Wiesbaden Conference 2018 was held from April 16-17, 2018, in New Delhi. The title of conference was ‘Securing Global Supply Chains through Government-Industry Partnerships towards Effective Implementation of UNSC Resolution 1540.